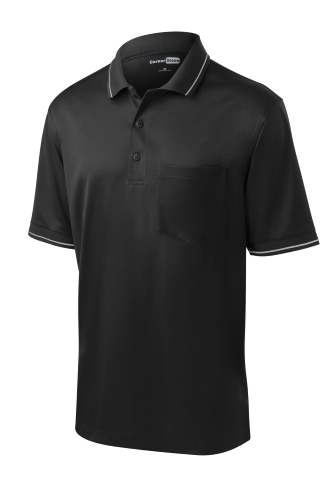 A left chest pocket and tipping add a bit of style to this hardworking essential that also defies snags, resists wrinkles, fights odors and wicks moisture. ?? | 6.6-ounce, 100% snag-proof polyester Rental friendly Double-needle stitching throughout Tag-free label Flat knit collar and cuffs with tipping 3-button placket with dyed-to-match buttons Set-in, open hem sleeves Side vents Due to the nature of 100% polyester performance fabrics, special care must be taken throughout the printing process.